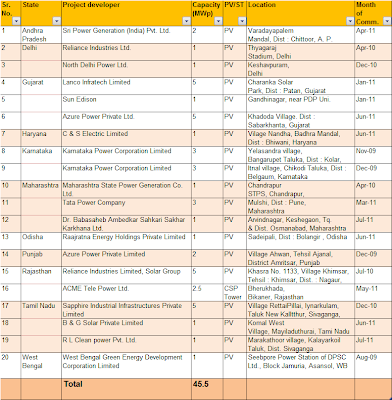 MNRE has recently released the list of all grid operating solar PV projects in India (latest updated as on July 2011. See the detailed list here and also below). 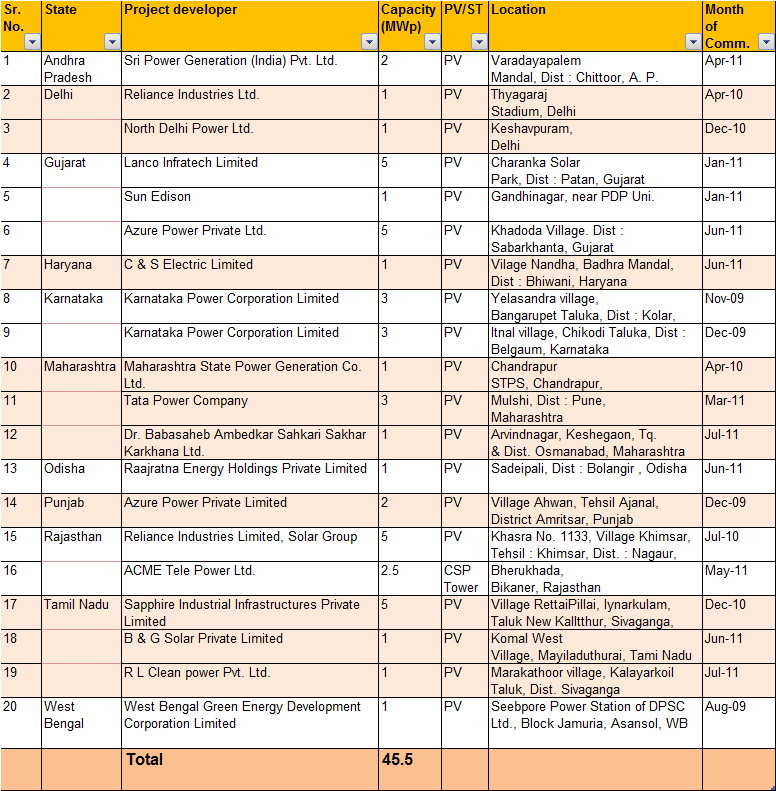 Sri Power Generation (India) Pvt. Ltd.
Dr. Babasaheb Ambedkar Sahkari Sakhar Karkhana Ltd.
R L Clean power Pvt. Ltd. The report is first good step in monitoring performance and stakeholder engagement. However a big leap in monitoring solar plants performance and integrating the analytics to design appropriate solutions has to still happen.